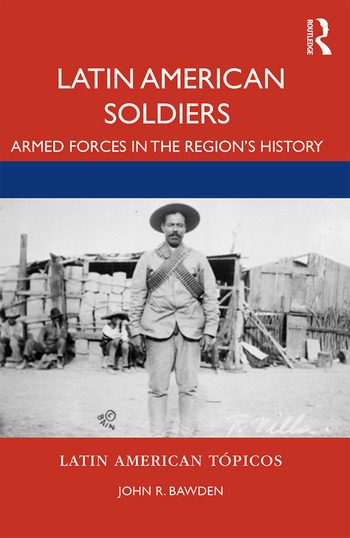 In this accessible volume, John R. Bawden introduces readers to the study of armed forces in Latin American history through vivid narratives about four very different countries: Mexico, Cuba, Brazil, and Chile. Latin America has faced many of the challenges common to postcolonial states such as civil war, poorly-defined borders, and politically fractured societies. Studying its militaries offers a powerful lens through which to understand major events, eras, and problems. Bawden draws on stories about the men and women who served in conventional armed forces and guerrilla armies to examine the politics and social structure of each country, the state’s evolution, and relationships between soldiers and the global community. Designed as an introductory text for undergraduates, Latin America’s Soldiers identifies major concepts, factors, and trends that have shaped modern Latin America. It is an essential text for students of Latin American Studies or History and is particularly useful for students focusing on the military, revolutions, and political history. John R. Bawden is an associate professor of history at the University of Montevallo. He is the author of The Pinochet Generation: The Chilean Military in the Twentieth Century (2016).